This might open a can of worms. Quick Plug: This week’s column is borrowing a theme from Erik Childress’ Movie Madness podcast on the Now Playing Network. This summer, Erik has invited guests to pick their best summer ever and give their top 10 list of movies from that summer. They have been excellent shows that I highly recommend, especially the 1988 episode with Collin Souter. Movie Madness in general is a terrific podcast (which our own, Patrick Bromley, has been a guest on numerous times). You should check it out! 3. Apollo 13 – Best Ron Howard/control room movie, amazing true story, Hanks! 1. I saw a physical altercation when I went to Batman Forever. A woman threw a full soda at another woman. The police were waiting outside after the movie was over. Not sure how it all resolved, but it was kind of scary. 2. I went with my family to Walt Disney World that summer and we saw Apollo 13 on opening night and Batman Forever (a different time than the pop thrower) earlier in the week. It was cool. 3. On that same trip, I remember overhearing this one family (we’ll call them the Millers) telling someone at a WDW store that they were going to see Pocahontas. Then I saw the Millers at the movie theater when I was there for Batman Forever, presumably there to see Pocahontas. Later that week I got a Friday newspaper (to read Orlando movie reviews) and there was a section where regular joes say what they thought of current movies. Guess who was there? THE MILLERS! They liked Pocahontas. It was eerie. 4. I had my Bar-Mitzvah in May of 1995. After it was over, my family told me they would take me to my favorite restaurant and to see Die Hard with a Vengeance at the greatest theater ever – the Woodfield 1 & 2. The entire time I was reading from the Torah I was thinking about how many hours away I was from Chinese food and the new Die Hard. Cumulatively, they all made me into a man. 5. I didn’t want to see Crimson Tide when it came out opening weekend. I wanted to see Gordy, the other talking pig movie that came out in summer 1995. I was overruled and taken to Crimson Tide, which I didn’t like or understand because I was just 12. I wrote a “You Be the Critic” blurb in the local newspaper where I said of Crimson Tide “Should sink to the bottom of the ocean and never come back up.” I am reminded of this review monthly by my family. 6. I went to see Waterworld with my dad on a Saturday afternoon and then he went with my mom to see Virtuosity later that night. I remember him complaining about how little he liked those two movies and what a bad cinema day it was for him. I dunno, I like Waterworld. Virtuosity I don’t remember being very good, though. 7. I owned a Congo movie magazine and read it a lot that summer. It had a detailed backstory for Eddie Ventro (Joe Pantoliano) that was missing from the movie. 8. I saw Mortal Kombat on opening day with my friend, Frank, who got into a physical fight with another kid in the theater before the movie started. For him, Mortal Kombat was a way of life. 9. I thought Nine Months was going to be the funniest movie ever made. It wasn’t. 10. After seeing Babe, my friend’s mom was driving us home and suddenly pulled over. She heard on the radio that Jerry Garcia had died. She was upset and told us to stop talking. 11. I had the Bonnie Raitt song “Something to Talk About” stuck in my head a lot that summer because of the movie Something to Talk About. 12. Hot take: I like Judge Dredd more than Dredd. It’s not even close. 14. I was disappointed by Free Willy 2: The Adventure Home the first time I saw it. Then they raffled off a VHS clamshell copy at my middle school’s Fun Fair and I wanted it more than anything. I didn’t get it that night. Bummer. 15. I thought Johnny Mnemonic was going to rule because it was Keanu coming off Speed. It was bad. Very bad. I remember this movie being on, though, when I was hooking up surround sound in my old apartment and didn’t think it was as bad as I did before. 16. What’s the point of having hundreds of cable channels if Mad Love (1995) isn’t on any of them? 17. 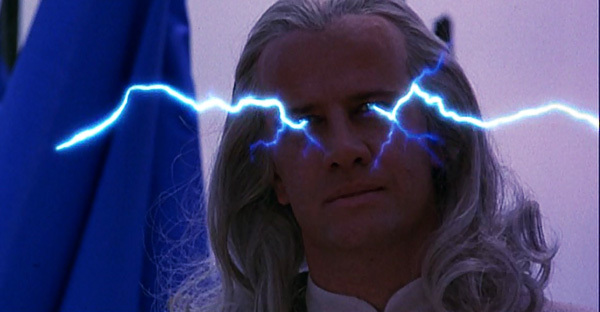 I still haven’t seen Lord of Illusions, but will this October. 18. I am the biggest fan of both Bushwhacked and A Kid in King Arthur’s Court. By that I mean I would give them both three stars. 19. I’ve almost seen The Glass Shield nineteen times. 20. Have you seen Arabian Knight, the butchered animated movie that was borne out of Richard Williams’ long-delayed The Thief and the Cobbler? There’s a great documentary about the backstory of this movie called Persistence of Vision. You should see it! Thanks again to Erik Childress for letting me borrow his great topic! 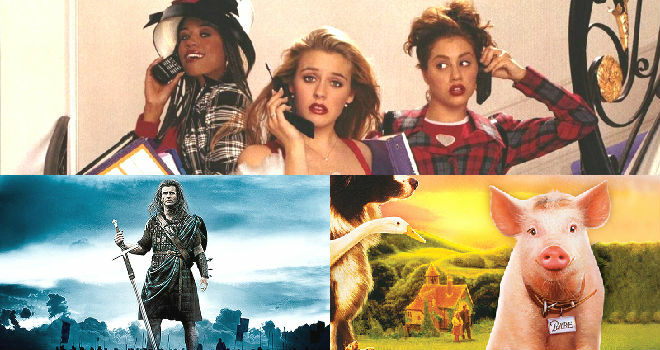 What are your top 10 movies of summer 1995? 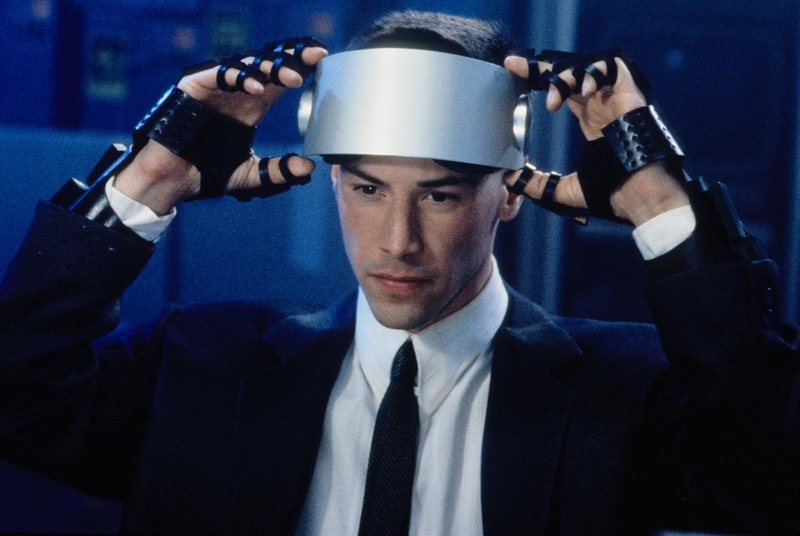 1995 is, without a doubt, the best movie year of the 90s. The winter of '95 was absolutely incredible, propped up by 3 incredible movies; Heat, Seven and 12 Monkeys. But also supported by really solid stuff like Get Shorty, Casino, Leaving Las Vegas, Goldeneye, even delightful trash like Copycat. It was the height of my favorite genre, the mid-budget adult action film. Too bad I was 8, and had to wait to catch them all on cable. As for the summer, I don't think I can do a top 10, but my favorite is easily Die Hard with a Vengeance. I'm big on it and will always defend its honor, violently if necessary. Apollo 13 is a close #2, and probably the best movie that year. Desperado, Crimson Tide and Tales from the Hood are next I assume. The movie I wanted to see the most that year was Under Siege 2. Lucky for 8 year-old me, I wasn't allowed to see it. Unlucky for 9 year-old me, I saw it the next year. I need to rewatch Under Siege 2 and Dredd. I didn't like US2 when I saw it because it was such a downgrade in villain quality from the first one. Dredd I saw at a DBox so that was distracting. It was also so similar to The Raid that I couldn't get into it at the time. Enough people like it that I owe it another viewing. Yeah D-Box is awful. You'll probably like it a little more in standard viewing, but I doubt you'll love it. I like it a lot, mostly because I like the performance Karl Urban gives, and I think the last shootout with the corrupt judges is great. And I do like the Stallone movie more than I should, but I can't tell if that's irony or not. Under Siege 2 is trash tho. It's got these strange scenes where Everett McGill is like sexually aroused at the thought of fighting Steven Seagal. But hey, at least Ebert liked it. "I like Judge Dredd more than Dredd. It’s not even close." haha When I was a kid there was almost nothing I wanted to watch less than a submarine movie. I don't blame you for hating Crimson Tide. But then, maybe that was because my Dad took me to see K-19 and made me watch The Hunt for Red October. It doesn't get much more boring for a child. Any summer with Clueless is a good summer. Ah, Mortal Kombat. I owned the soundtrack and everything. It's not saying much, but for my money, it's still the best video game adaptation. I at least had some fun with it. I think along with Mortal Kombat and Clueless must have been my summer movie jams of 1995. I also owned and enjoyed Casper because I was way into Christina Ricci at the time, with whom I would fall completely in love later that year in Now and Then. The Batman Forever love on this site lately is making my 12 year-old self feel validated. 13 year-old me would be on the BF love train along with Adam and Patrick and the commenters, the 35 year old me cannot abide. Batman Forever is bad. Bad bad. It's so painfully stupid, except, unlike B&R, it doesn't lean into its stupidity. I hate B&R and I really hate BF. The difference between the movies is so slight. It really pains me to see the love BF gets around these parts. Batman Forever, to me, is fun. I'm sorry my fun pains you. Batman Forever is the only movie in the original cycle of Batfilms that is actually about what it means to be Batman. The Burton films are weird, incoherent art projects, and Batman & Robin is a toy commercial. It's a ridiculous movie, but it's the only one that tries to tell an actual story. I'll always defend it. Gosh, I feel bad now, I don't mean to criticize an opinion. What I mean is that I think Batman Forever is a bad movie. There was a time when I ranked it first of the 90s movies, but after a 10 or year lapse, I TiVoed it off of TNT, rewatched it, and was really disappointed. I think it's a bad movie, it's poorly conceived and, outside of the production design, is short on merit. I always find criticism of BF to be surprisingly forgiving, while B&R gets all the hate. I just think they're more or less the same. I certainly wouldn't begrudge anyone for enjoying it. I'm someone who was thoroughly entertained by Torque, who am I to judge. I would only begrudge positive opinions on Batman v Superman. I would disagree with you, Rob, about it getting Batman right, but there are so many versions of the character. I think the only movie that gets it, from 66 to BvJ:DoJ, is Mask of the Phantasm. But that's my Batman. Phantasm is great. My defense of Forever is purely from a "points for effort" perspective. Oooookay - I try to respect everyone's opinion, but saying Species is better than Alien is downright nuts. Not that Species isn't fun. I still remember the team coming to Natasha's abandoned car, piddling around about what to do next. 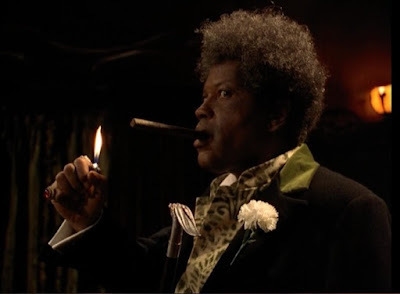 Then their supposed psychic (a delightful Forest Whitaker) has a revelation: "She walked!" Wow, great insight, Sherlock. And Judge Dredd would be fine if the movie were not completely torpedoed by a certain odious comic relief character. Still, hearing Stallone say "I am the law!" is worth the price of admission. This piece has been up for six hours and it took until now for someone to bring this up. Thank you Steve. I was purposely being inflammatory on the Species is better than Alien thing because that's become a running joke over the years about me not liking Alien. I know I'm wrong. I also don't care anymore that I'm wrong. Oh, I know. But it still needs to be mentioned. I bet if you watched them back to back it would be a lot closer than you think. Now if you had said "Species is better than Alien Covenant," I doubt anyone would or could argue with that. Species is definitely better than Alien Covenant. I'm all for people arguing with me. I just don't think anyone's argument will make me change my mind about Alien. Riske and Bromley - 3 hour live event watching Alien and Species back to back. It should still bother you that you are wrong. I mean this in the nicest way possible....why are people so damn sensitive about Alien? I'm not telling anyone not to like it. Every single person here likes a good/ok/bad movie better than a great movie because of personal taste. I think it's because Alien is considered not only a great movie, but a movie everyone SHOULD enjoy. It's well-made, the performances are good, it hasn't dated. When you tell someone you don't like Citizen Kane, they'll think "well it's old and a bit slow, so I get it." I'll be honest, Alien is a top 5 movie for me. I love it endlessly. But like what you like, I don't feel the need to defend its honor. To be clear, I would never say Alien is bad and all of my "I don't like Alien" is really just playing the heel at this point for fun. But it's true. The movie has never connected with me and I've seen it probably ten times, a couple of which in a movie theater. Aliens I've really enjoyed ever since the first viewing. i did notice the Species is better than Alien thing, but i couldn't reply before. any others like that we should know about? What is this "Drenn" you speak of? Joking aside, that sounds like an awesome title for a movie in the vein of the Heavy Metal comics (I think one of the stories in the original film was "Den"). @Kunider - I'm not going to answer the "why I don't like Alien" because there is no advantage for me to do so. I just don't like it. I'm not trying to convince anyone to follow suit. I just don't want to bite my tongue about not liking it. 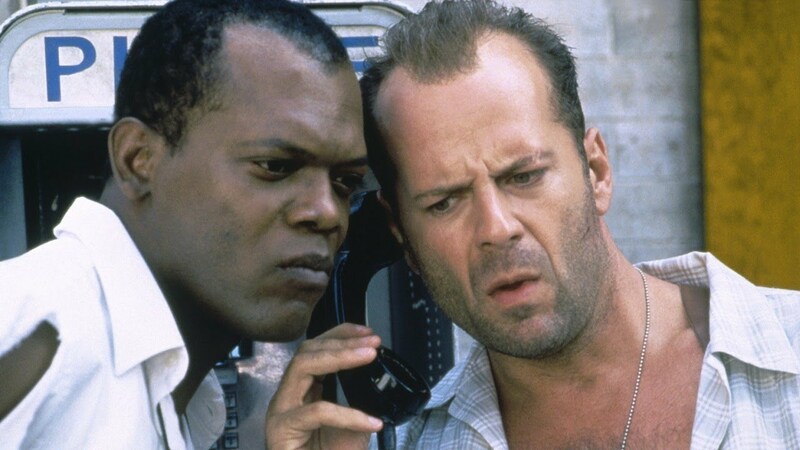 1995 will always be an important movie year for me, because that's when my dad took me to my first R-rated movie, Die Hard with a Vengeance. I was 12. Felt like a rite of passage. I was (am) the same age! (popped my R-Cherry the year before with True Lies though). I love DHWAV so much, and Adam's right, that first hour especially is a flawless machine of entertainment. I saw BF at a special preview screening you had to win tickets for. Packed house, great energy. Everyone cracked up at the "I'll get drive through" line despite the fact that it was played ad nauseam on a McDonalds tie in tv spot. Love the energy of a full, enthusiastic theater. Plus I was obsessed with the work of Jim Carey. Whatever I may think if I rewatch it now, it was a magical moment for me in the winter of 95 (I'm from Australia). I saw First Knight opening day with my parents. I realize the error of my ways now, but the degree of love I had for that movie at 12 was ridiculous. I wouldn't mind First Knight if they recasted Richard Gere. He gives a, as Riske says, "for the ages terrible performance". I have never seen First Knight but I have now just reserved it from the library. You, sir, should be prepared to be both dazzled and severely let down. 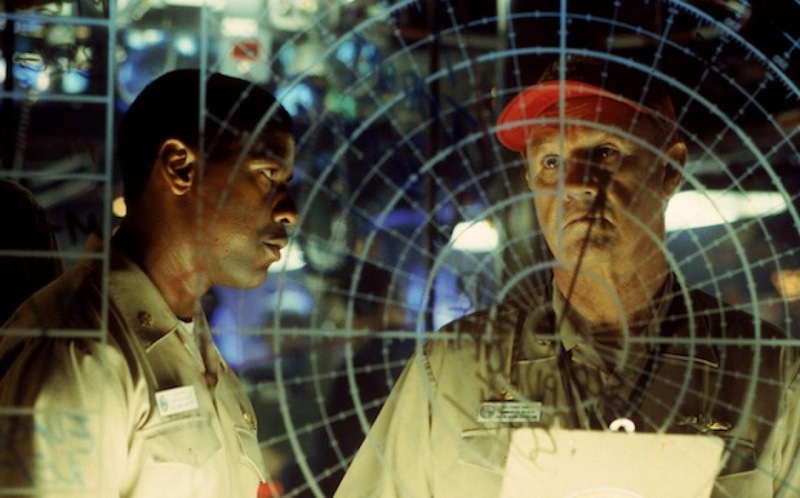 I'm willing to believe Species is better than Alien (which means I really need to see Species), but Crimson Tide is definitely not the best submarine movie.